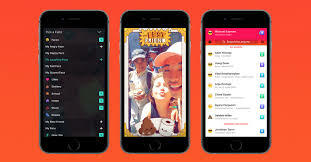 Towards the end of August 2016, when Facebook copying Snapchat was still in any way surprising, they launched a teen focused app that shared a great deal with Snapchat - Lifestage. Largely built around photo editing, Lifestage was one of the more ambitious attempts by Facebook to move in on Snapchat's territory, and it taught Facebook one fundamental lesson - don't rebrand to grow an audience. The reason why Facebook have done so well with Instagram is because it was already an established name when they picked it up. Almost every time Google, Facebook, Twitter or whoever else have brought in a new platform with a new name and only tenuous links to its parent, they've struggled to bring in enough of a user base to maintain. That's probably why, just under a year after launching proper, Lifestage is no more. That's far from the only reason though, the app was fraught with problems. Most notably, despite it supposedly being limited to users aged 21 and under, there was no means of actually enforcing that rule, raising very valid concerns about it being used by predators. Just generally though, the app seems to have struggled to gain any kind of consistent popularity. In fact, it hasn't been updated since October of last year, when it was launched on Android. Clearly this has been on the cards for quite some time. The idea that Facebook would want to jumpstart a brand new app at this stage in the game seems ridiculous, the market is oversaturated as it is, but it's easy to forget that even a year ago, they weren't doing anywhere near as well against Snapchat as they are now. At that point the strategy was virtually non-existent, they just homed in on successful ideas which have helped Snapchat, and tried to put their own spin on them. Now, virtually every feature Lifestage had to offer is present on Instagram, Facebook mobile and Messenger, rendering the app itself almost entirely pointless. In the official statement about mothballing the app, a spokesperson clarified that the company had 'learned a lot" from Lifestage, which is code for "everything we needed from it we have elsewhere now". Still, somewhere out there, there must be a handful of teenagers disappointed about the death of their favourite app, but I imagine it's a very small fan-club. Why Doesn't Twitter Disclose DAU Figures?